According to El Quintanrroense- ¨On the eve of the 18 years since the creation of the municipality of Solidaridad, the business of the Riviera Maya recognizes the work that each administration of government has taken to achieve that today, Solidaridad, Playa del Carmen, Riviera Maya Heart be the jewel in the Qur'an state of Quintana Roo. 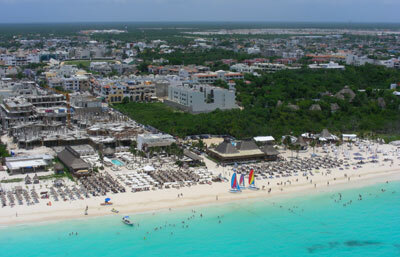 The president of the Business Coordinating Council of the Riviera Maya, Gerardo Valades Victorio, said that in view of the business, much remains to be done and will be crucial each actions taken towards achieving the continued promotion of tourism and the growth and development occur in an orderly and sustainable. That is why we will be crucial each actions taken towards achieving the continued promotion of tourism, particularly the brand Playa del Carmen, Riviera Maya Heart. Additionally, he cited a major challenge is to continue the growth and development in an orderly and sustainable to avoid future problems arise that are already in other municipalities and the state itself. The business representative cited that each municipal government has been paid so Solidarity today, this is one of the most important tourist towns of Quintana Roo, Mexico and the Caribbean. Finally, he mentioned that the current administration should continue to promote sustainable development to achieve a green municipality having this issue today as it attracts tourism and to make this possible, it is important to the coordinated work between local government and business. Meanwhile, the president of the National Restaurant and Food Industry Spicy (CANIRAC), César Navarro Medina explained that having his majority, Solidarity is heading towards maturity in every way. So far, only a few hours to meet its 18 anniversary has also proven to be a plural city in every sense of the word. Solidarity must now continue its development with a clear direction and looking for may be a diversification of economic activity for today is 100 percent tourist and therefore you must work towards other productive activities and, along with tourism will allow the municipality continue to grow and consolidate as a world class destination.